Unlike out-of-town guests, you want your web visitors to stick around. So, if your site continues to see a bounce rate that stubbornly refuses to drop—it’s time to make some changes. 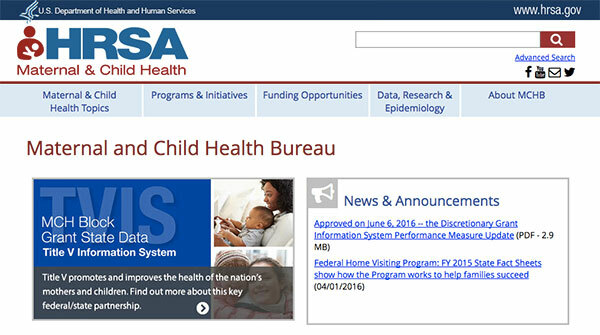 That’s exactly what happened to the Health Resources and Services Administration’s (HRSA) Maternal and Child Health Bureau’s (MCHB) website. Last year, in 2015, the site’s average bounce rate was 63% — and more than 70% for some key landing pages. And given the non-mobile-responsiveness of the site, it was unsurprising that the average mobile bounce rate climbed even further, reaching nearly 77%. Those facts alone sounded alarm bells. But then we dug deeper. First, we plunged head-first into an analysis of available analytics via the Digital Analytics Program—beyond the bounce rate. We needed to expose all the issues if we planned to fix them. We needed to re-evaluate the organization of our content. There were hundreds of low-value content pages. And an overwhelming number were inaccessible to users—instead, buried deep in the recesses of our content management system. So, much of the content needed to go. And the rest of it—though clearly popular and valuable—still came with its own weaknesses. Dense, complicated text sprinkled with acronyms and legal jargon. We divided the content into three piles: remove, revise and develop. The latter being the brand-new content we’d need to fill the gaps. It would be quite the undertaking—568 pages, to be exact. improving readability through the implementation of plain language principles and web best practices. Using information architecture validation software, we surveyed over 90 active stakeholders and determined that our assumptions about the site’s IA were overwhelmingly correct. Launching in July 2016, our site has already begun to show improvements—including a gradual lowering of our site’s bounce rate. Given data from previous site revamps, we expect key metrics will continue to show progress over time.